Michelle Obama had to be very guarded during her eight years as first lady, but Jimmy Kimmel has finally gotten her to loosen up. On Thursday’s “Jimmy Kimmel Live,” the former FLOTUS recited a bunch of things that she wasn’t allowed to say during her time in the White House. 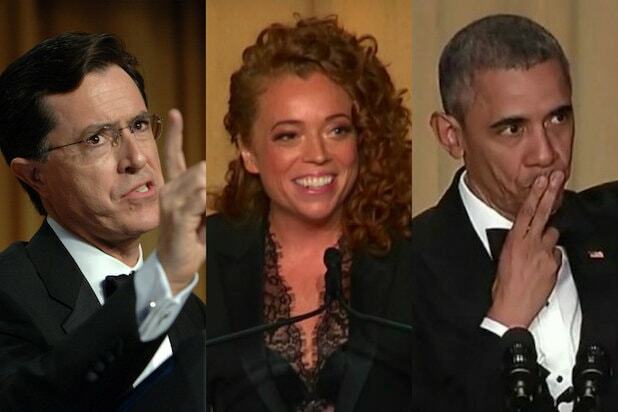 Of course, they were all made up and provided by the ABC late-night show’s writing staff. “I’ve never eaten a vegetable,” the kale nut started off with. There were some entertainment-centric options that should entertain our audience. “The whole eight years we were in the White House, we used Laura Bush’s Netflix password,” was one. “Clooney is my freebie,” read another. Michelle Obama has been making the talk-show rounds, promoting her book “Becoming.” She was excellent Thursday on “Ellen” — watch that appearance here.